Despite life-long health challenges, a young Mexican woman who grew up in SOS Children’s Village Tuxtla is preparing for university. Fatima was born with congenital scoliosis, a condition that affects the curvature of the spine and can also affect breathing. But the twenty-year-old is not prepared to let her disability prevent her from following her dreams and succeeding in life. "I know I can do many things, because my skills are not limited by this disability. Running and jumping are the only activities I cannot perform," she says with determination. 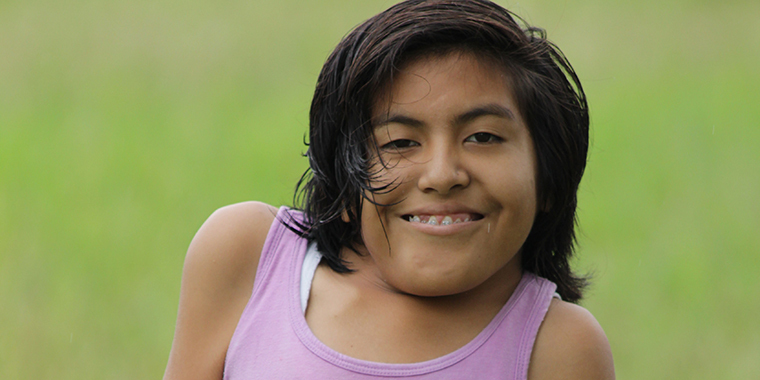 Fatima was six years old when she moved to Tuxtla Gutiérrez, an SOS Children’s Village built a year earlier in Chiapas, which aims to provide a protective and caring environment for children with disabilities. In Tuxtla, she received the support and treatment she needed. “SOS Children’s Villages opens many doors. It provides opportunities that I would have never imagined I could have. It is also very beautiful to live here,” she says. Fatima is currently attending a pre-university course that will allow her to sign up for a Communications Degree at the University of Chiapas (UNACH). “Since I was a child, I wanted to study communications, because I believe this will give me an opportunity to develop in different areas and use my abilities to the fullest,” she says. She is now planning to produce a video that illustrates the achievements of the SOS Children’s Village Tuxtla Gutiérrez. The video will include testimonies from members of her SOS family, but will focus mainly on how the quality of life of children with disabilities can change when you have a family, a home and an environment that provides love and protection. Fatima says her own family, who supports her unconditionally, is living proof of this, and when she is not studying, she likes to spend the afternoon playing with her siblings. She will be the first young woman from her SOS Children’s Village to study at university.